An introduction to alpine climbing and mountaineering for those with no prior climbing experience. 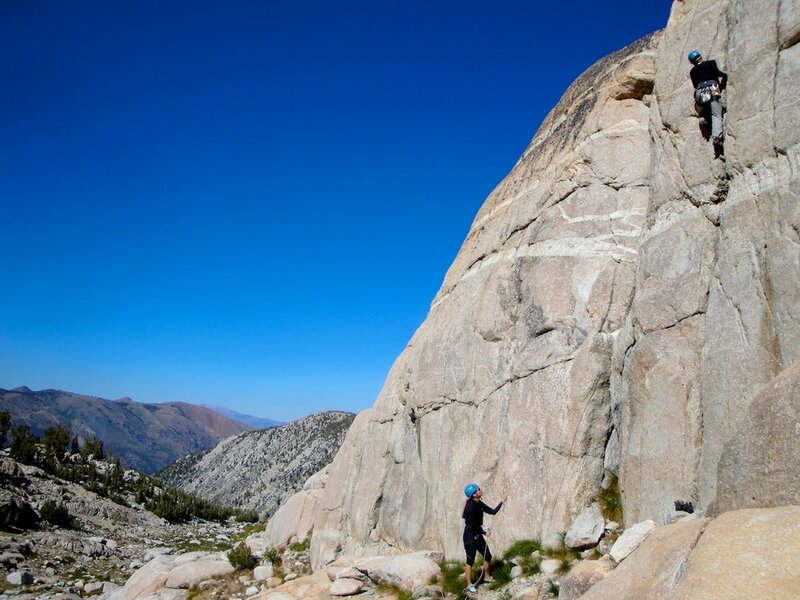 This 3-day mountain climbing course is based in the Sawtooth Ridge area of the Sierra Nevada, one of the most spectacular alpine climbing areas in California...and one of the least crowded. 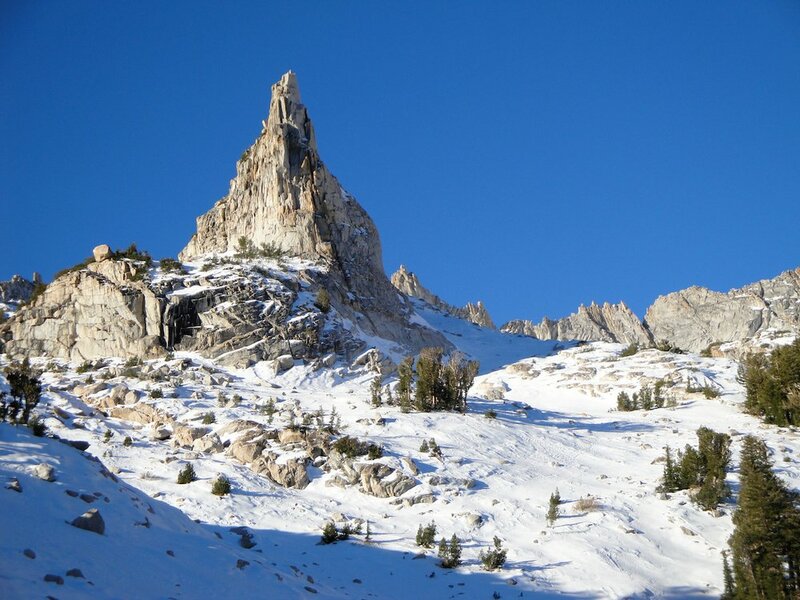 The Sawtooth range offers year-round snow, a small glacier and great alpine rock climbing which makes it a perfect venue for a mountaineering skills course. For those who are looking to move beyond backpacking and want an introduction into all aspects of alpine climbing including snow climbing techniques with ice axe and crampons and basic alpine rock climbing skills. A great course for those who have done some backpacking and are looking to gain the skills to safely move into higher alpine terrain. 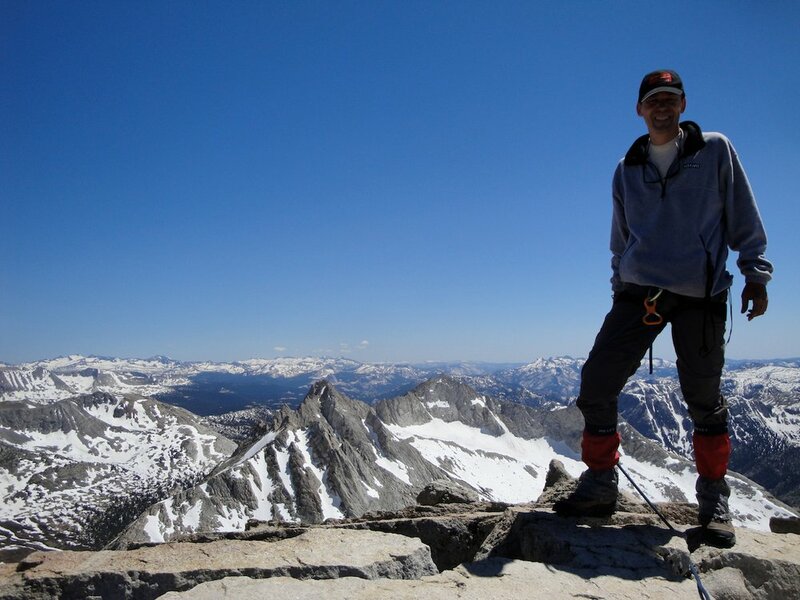 We put it all together in a climb of Matterhorn Peak (12,300 ft), via the West Couloir or East Couloir, which involves snow climbing and basic rock climbing skills. 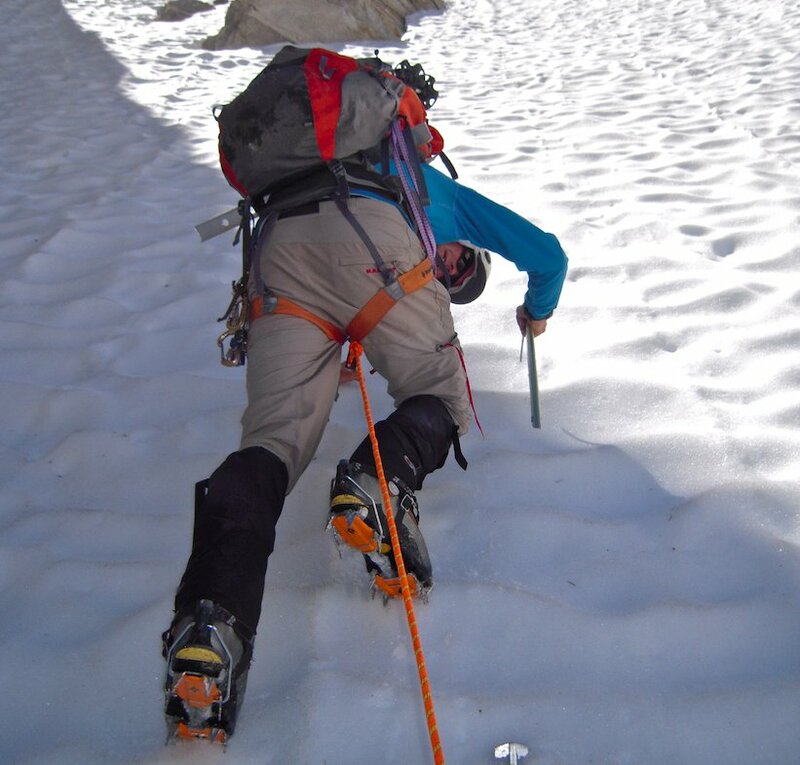 This course will give you the proper introduction into the world of mountaineering. This is an all-inclusive course so we provide everything you'll need at no extra cost. All you have to bring is your clothes and footwear! If you are looking for a more in-depth mountaineering course in alpine climbing check out our 6-day Alpine Climbing Course. 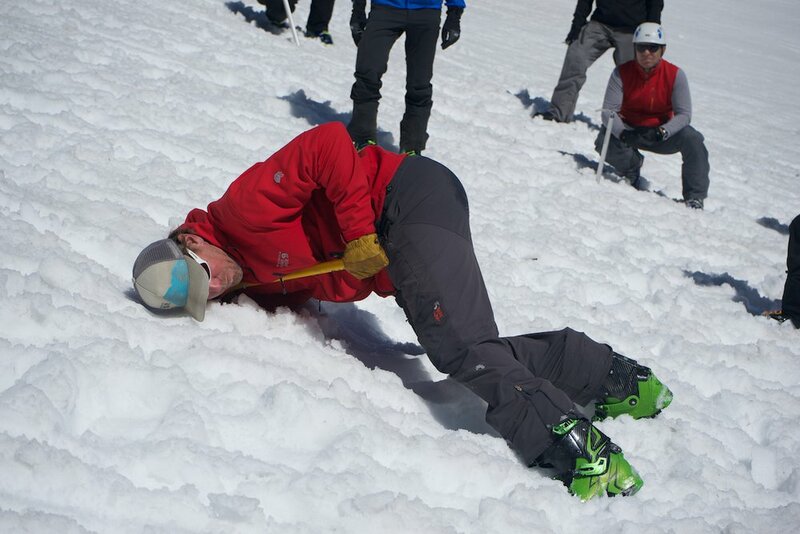 No previous climbing experience is required for our Intro to Mountaineering Courses. Previous backpacking experience is recommended. You should be in very good physical shape. 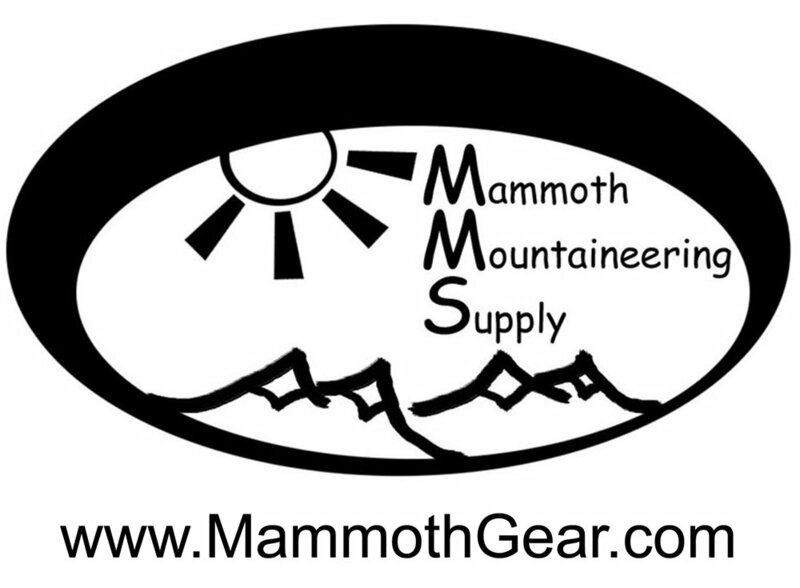 Use of backpack, sleeping bag & Pad and other gear if needed.